JOIN THE 2019 GRAND PRIX. Stay motivated all year long. Plan your year or just find your next race, from the mile to the marathon as well as free social events. We are a volunteer-based organization. Sign up and help put on the best races in the Valley. Here are your official results, for recent as well as historical ARR-sanctioned races. Sign up for the latest news, information and discounts from ARR. Have you changed your email address? Don’t forget to update us. 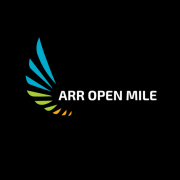 Cadence Running Company, iRun Shop, Runner’s Den and Sole Sports offer a 10% discount to ARR members on all merchandise.